Figure 4. 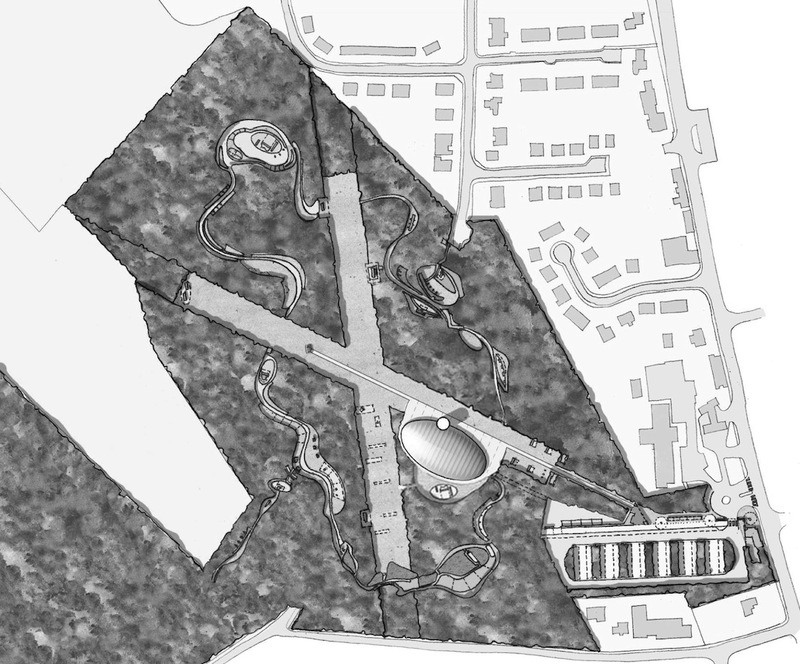 The first 2003 Masterplan proposal for the redevelopment of the Bannockburn Battlefield Memorial Site. The 1960s hilltop scheme and rotunda would be demolished with a new visitor centre and tower placed at the hilltop location (Allan Murray Architects and John Richards, 2003).